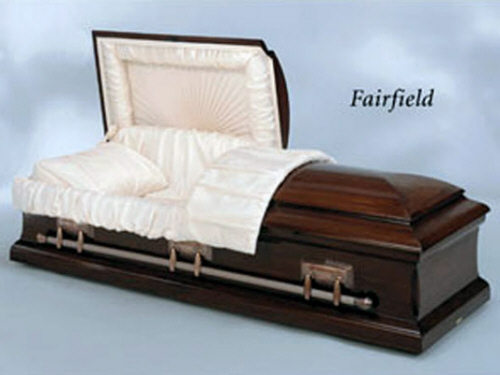 There is no scientific or other evidence that any casket with a sealing device will preserve human remains. 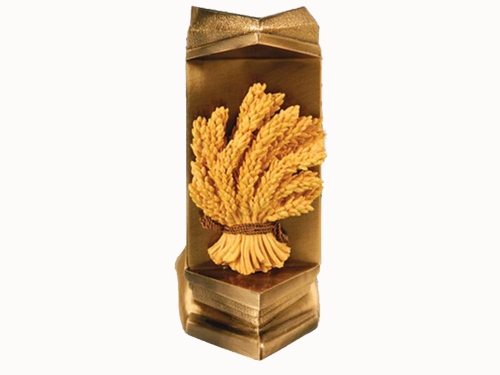 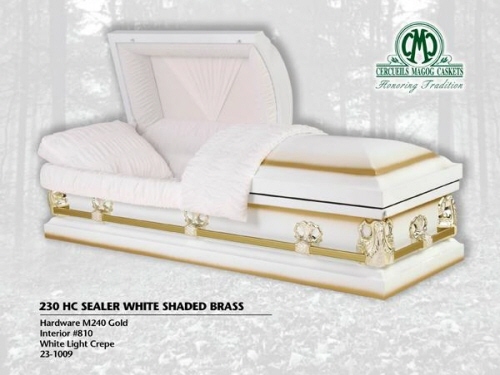 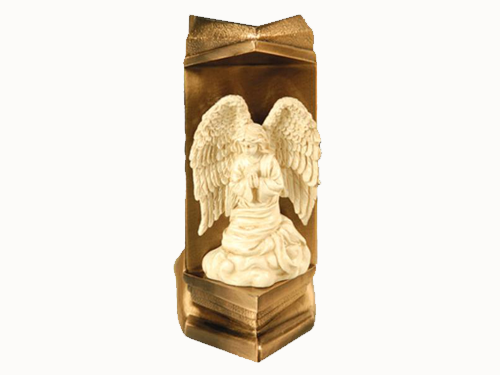 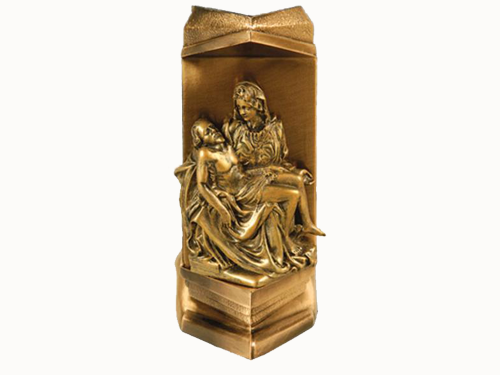 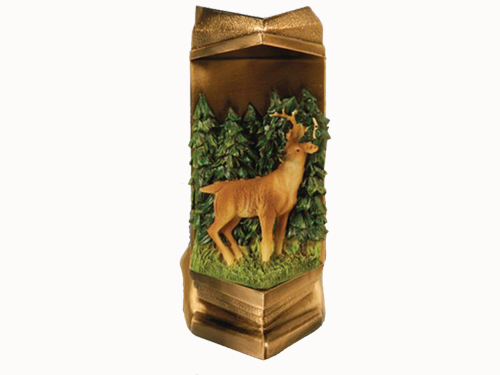 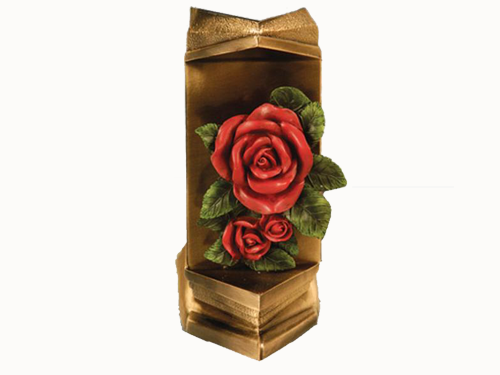 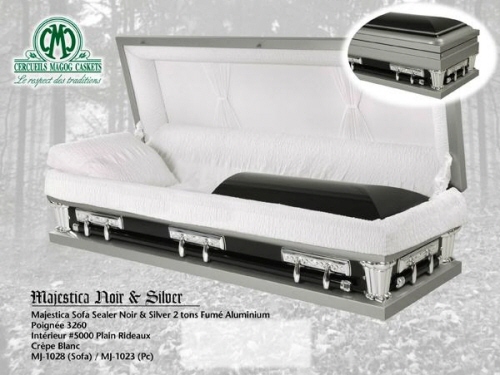 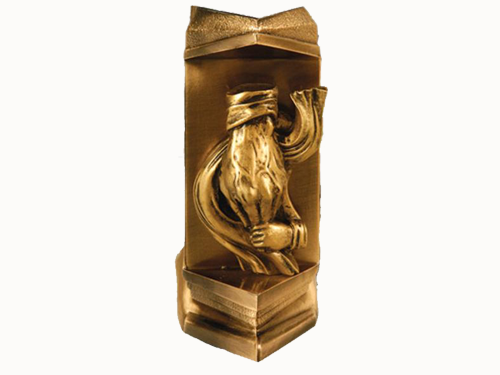 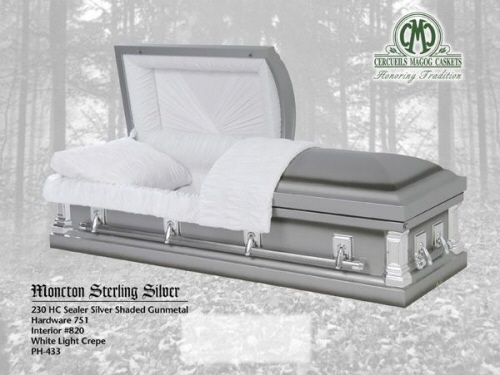 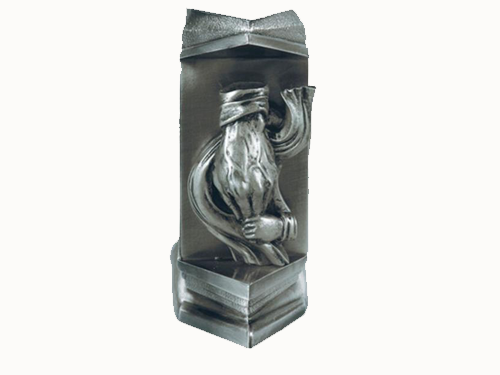 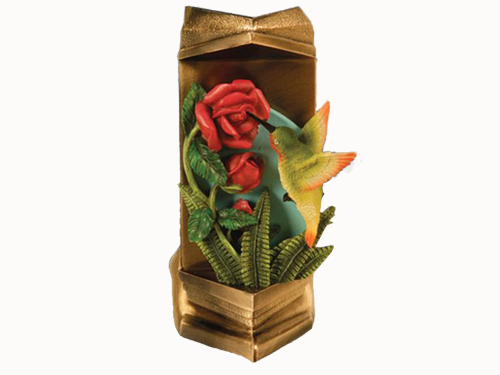 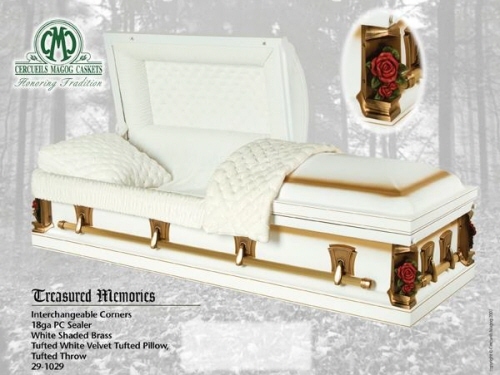 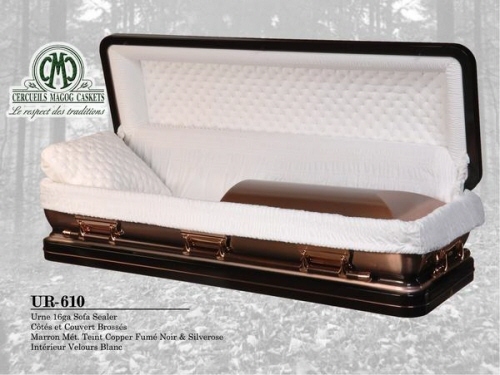 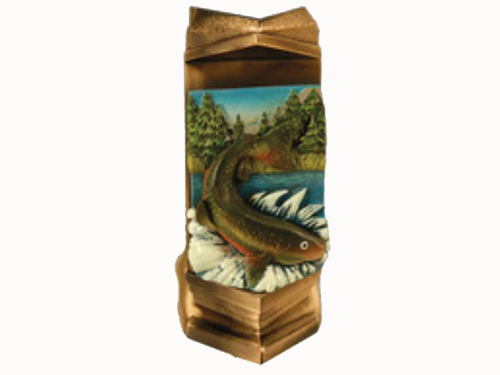 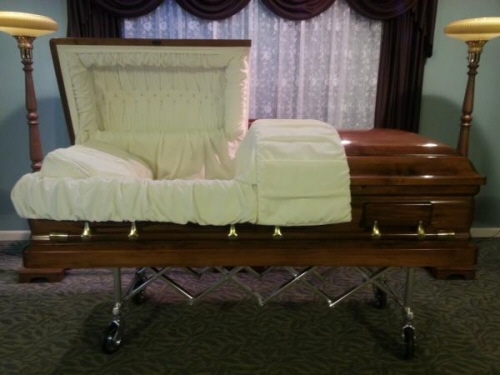 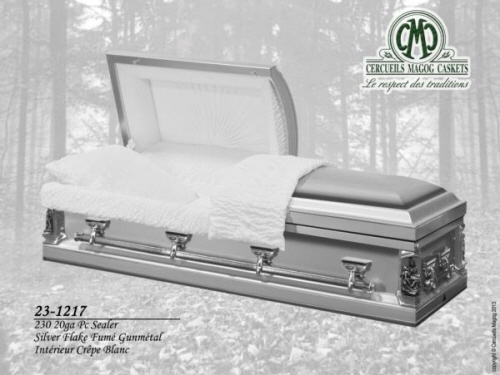 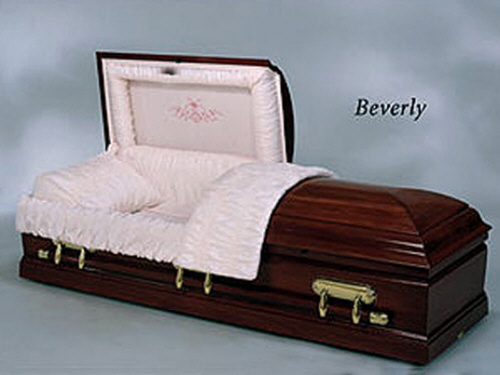 This corner is available for all Interchangable Corner Caskets. 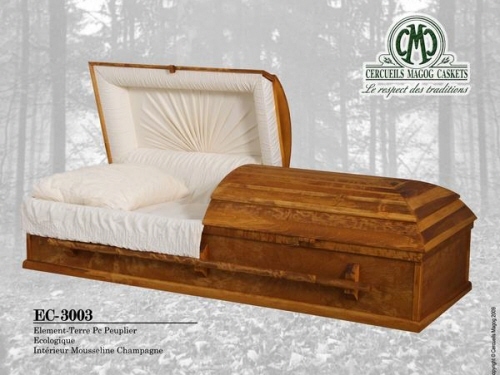 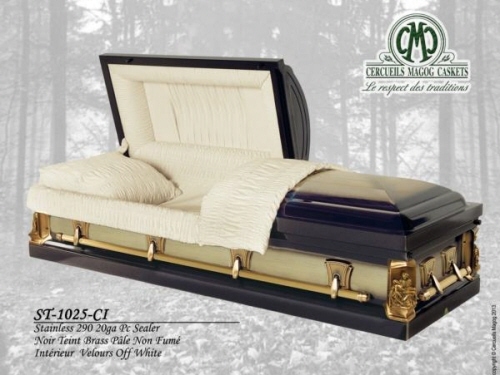 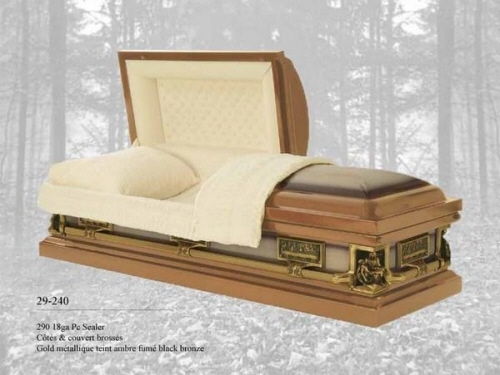 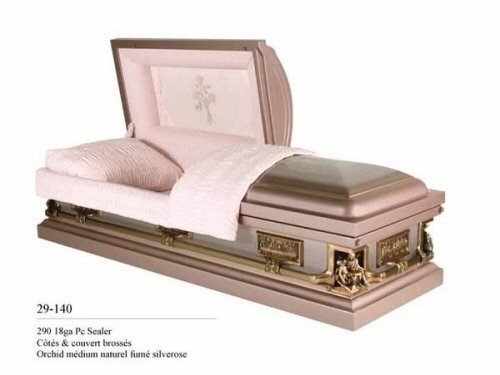 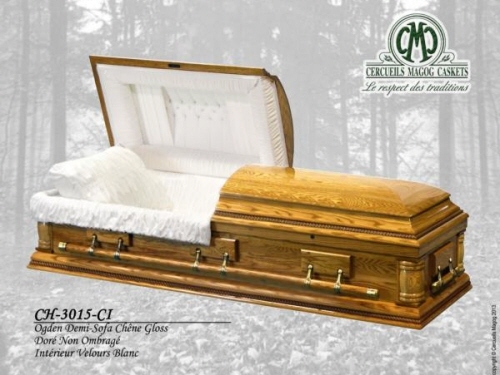 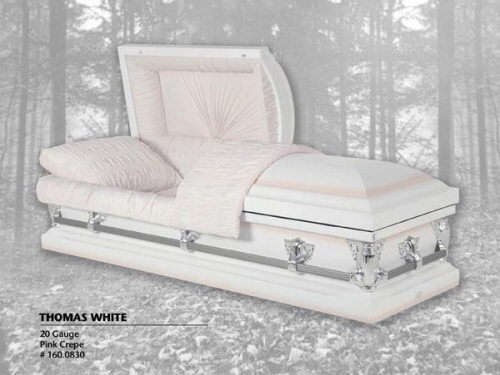 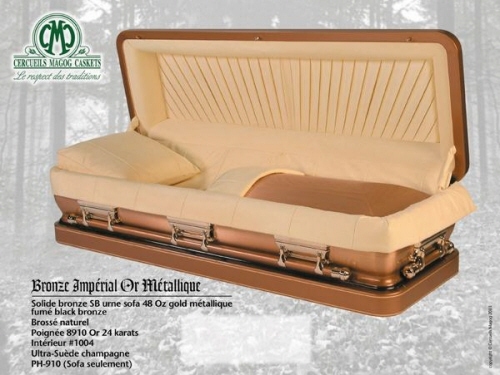 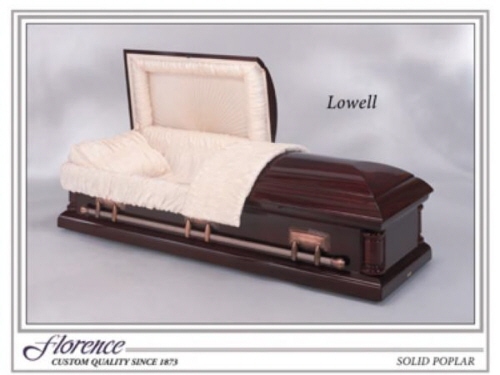 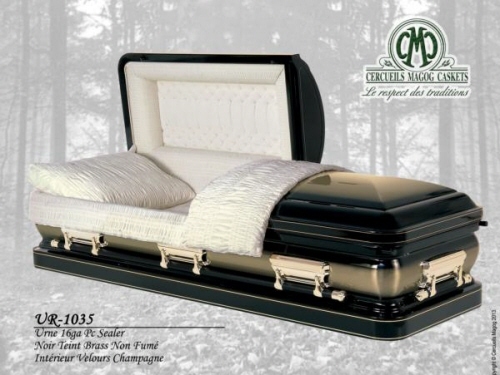 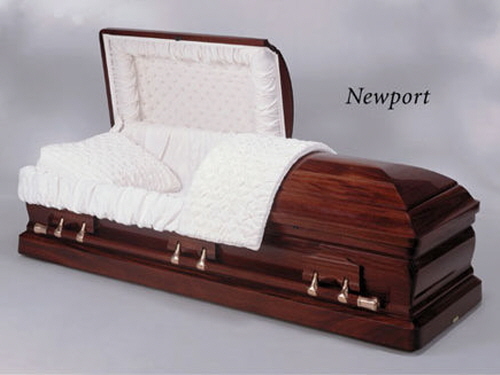 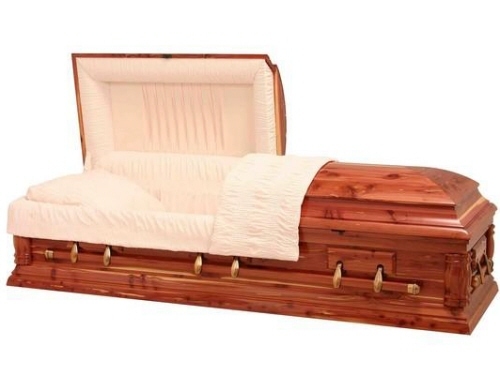 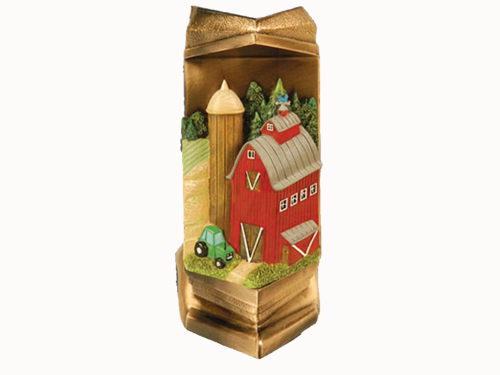 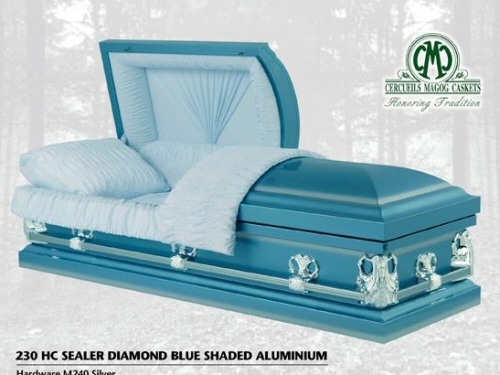 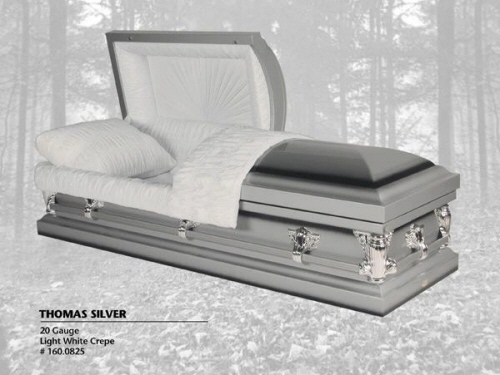 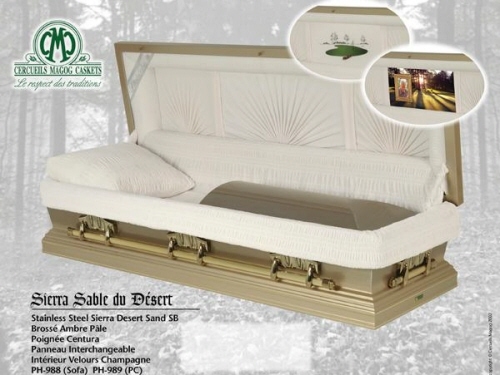 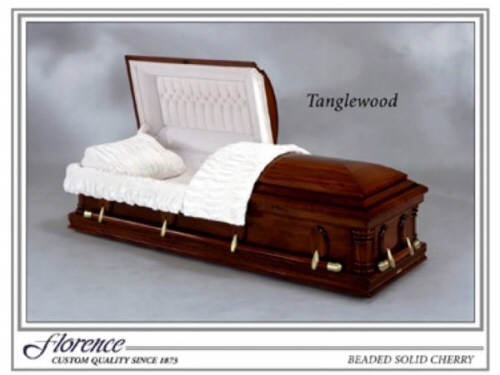 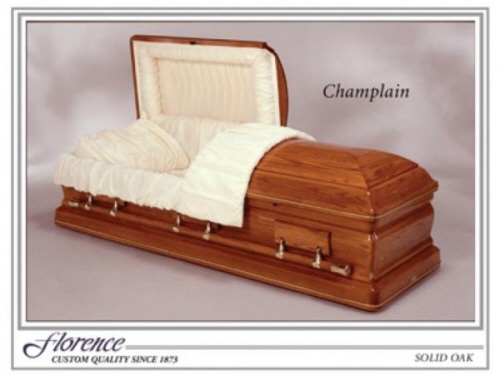 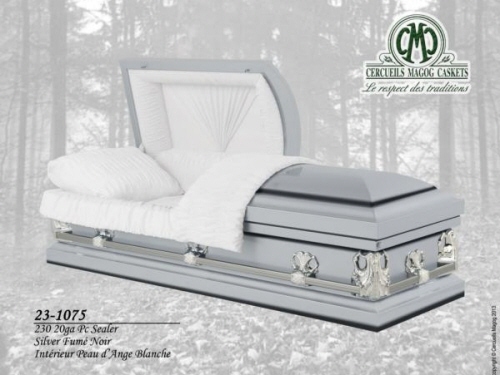 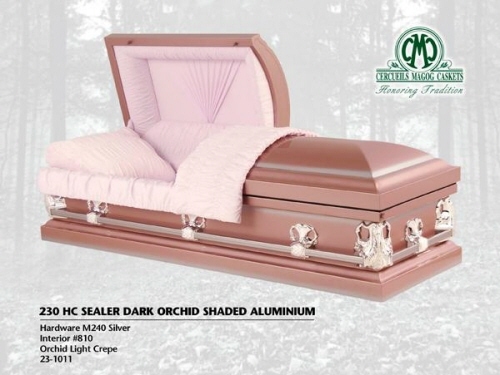 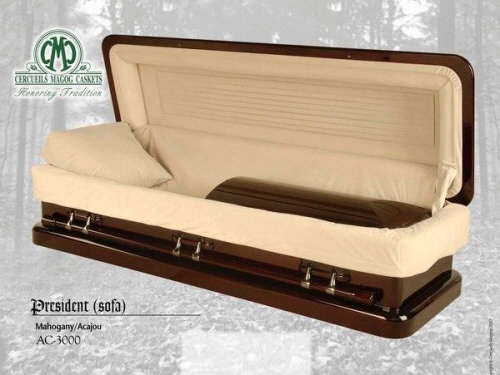 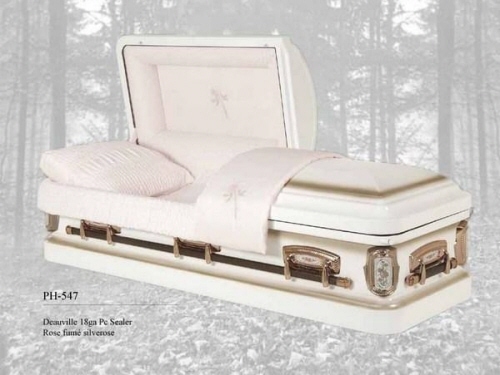 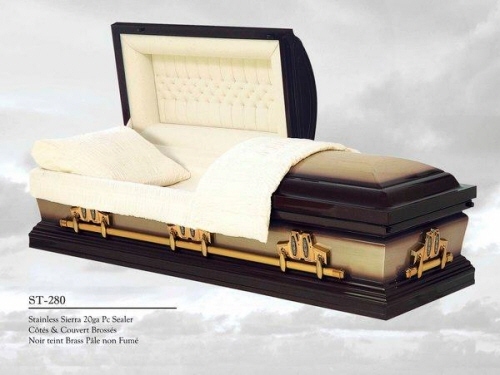 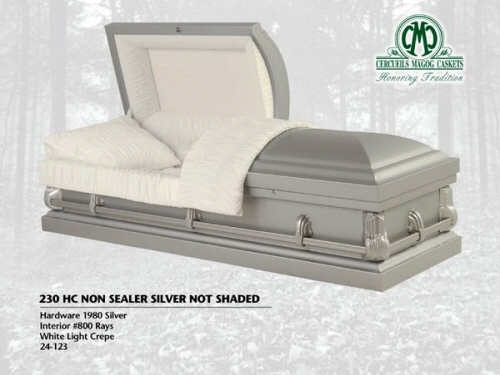 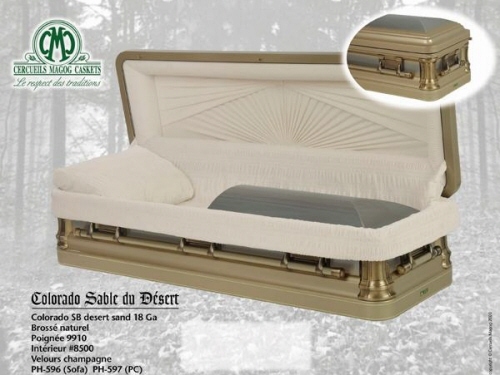 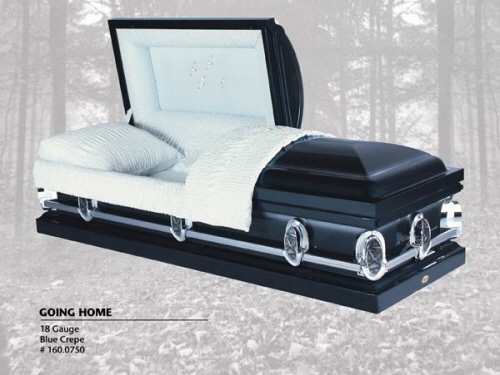 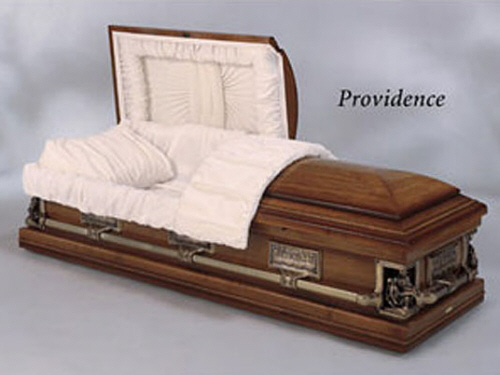 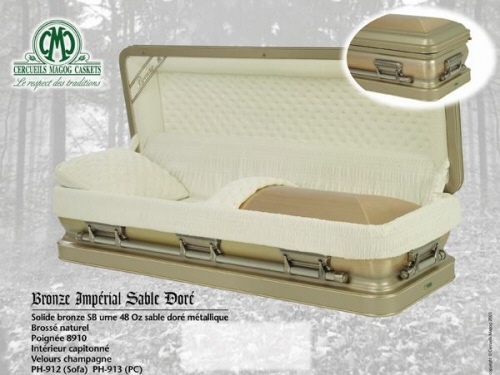 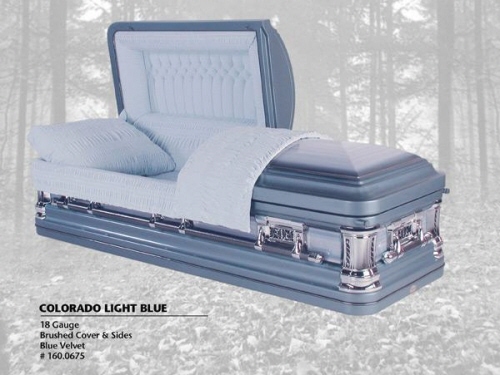 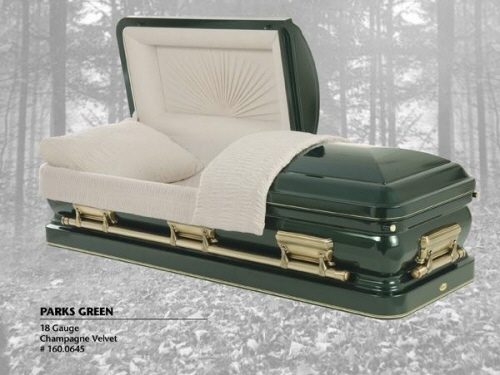 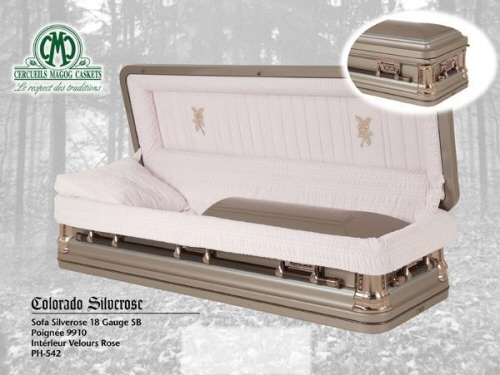 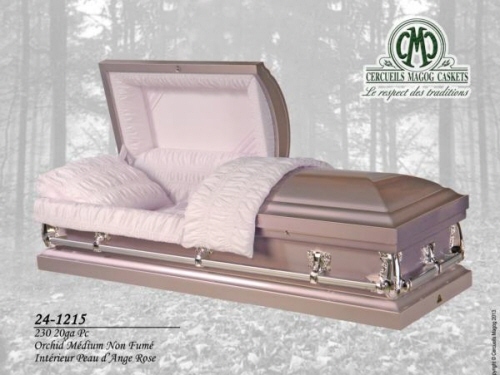 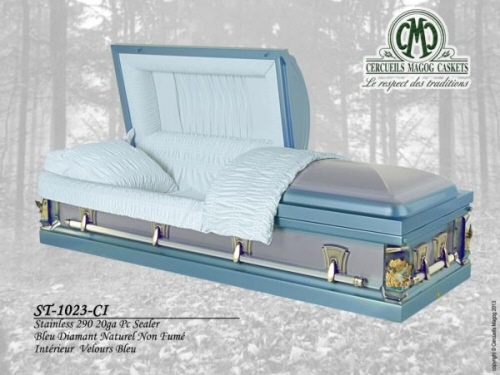 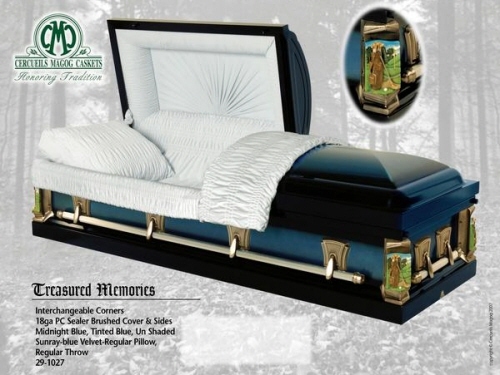 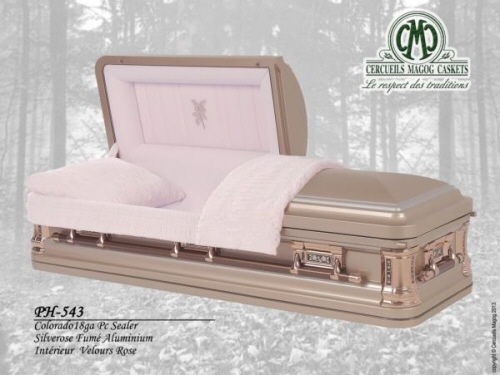 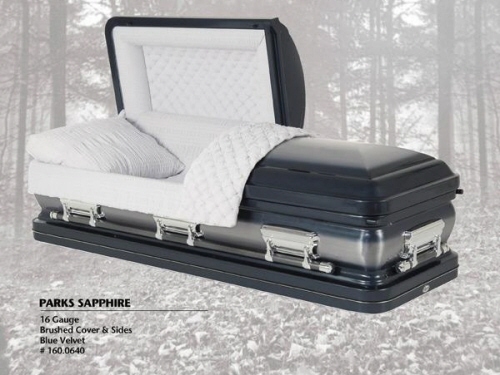 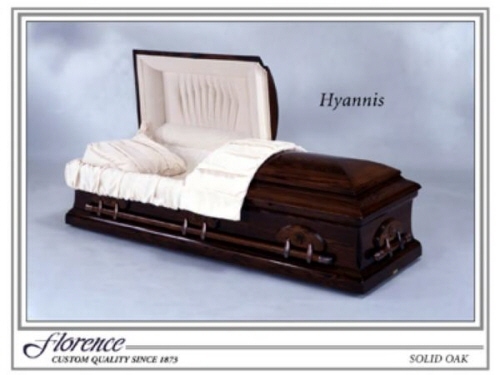 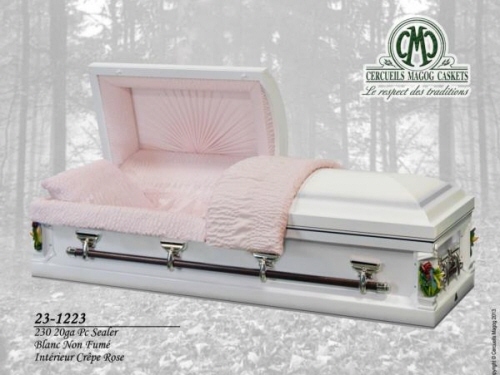 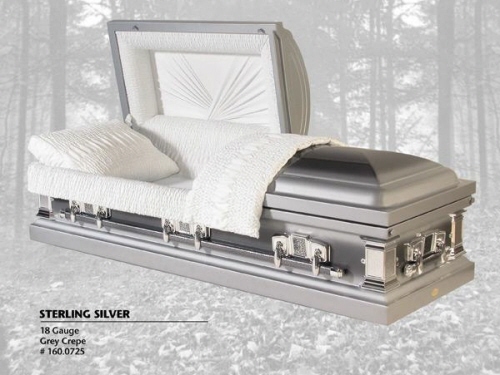 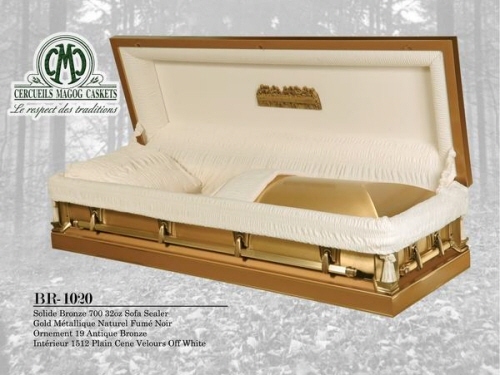 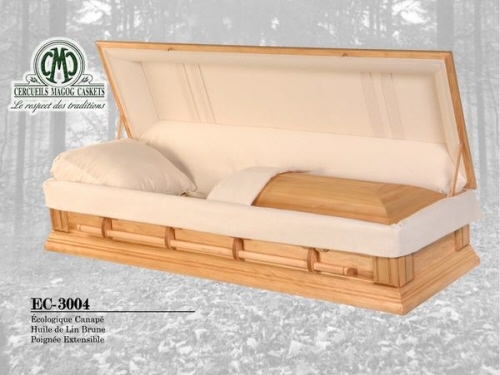 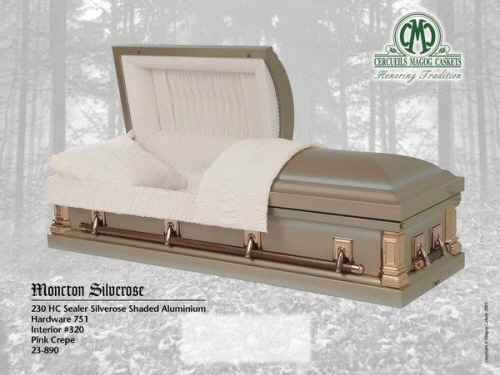 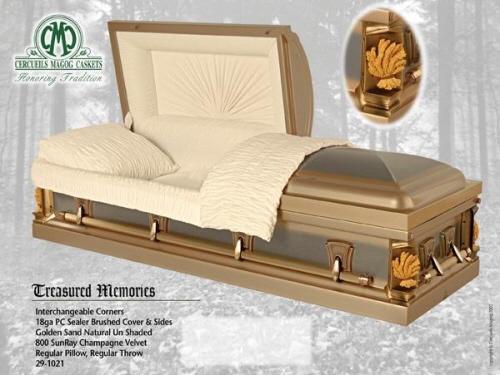 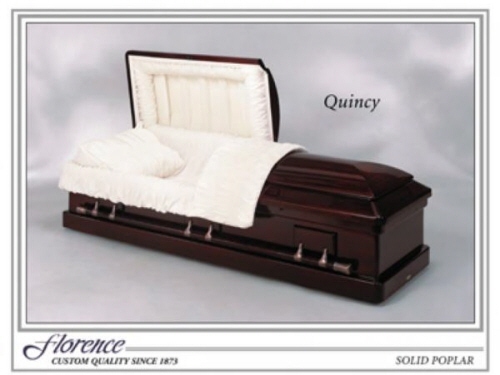 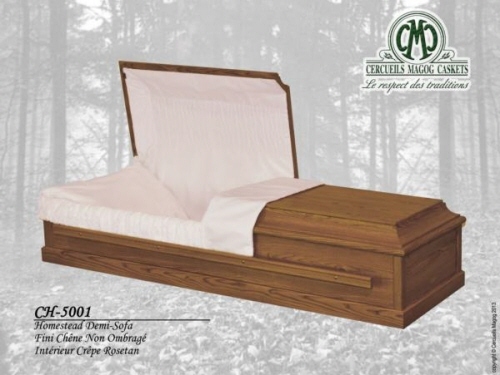 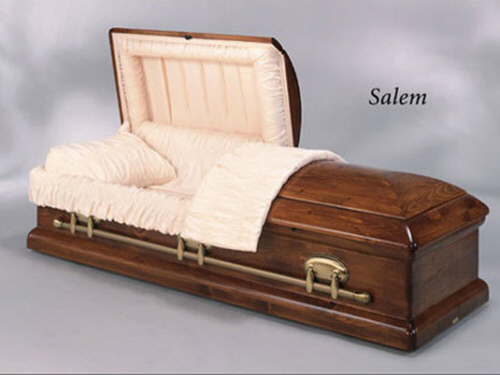 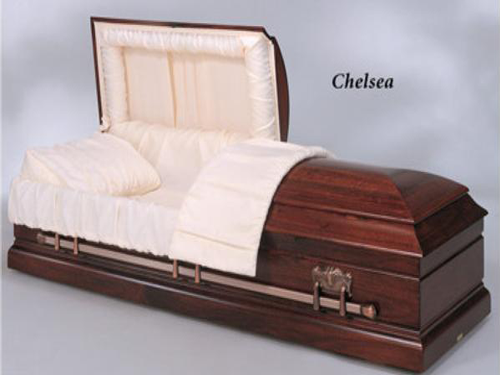 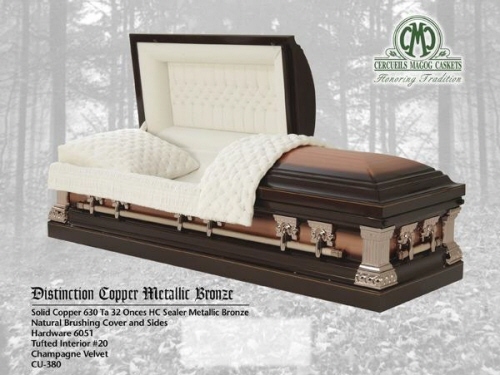 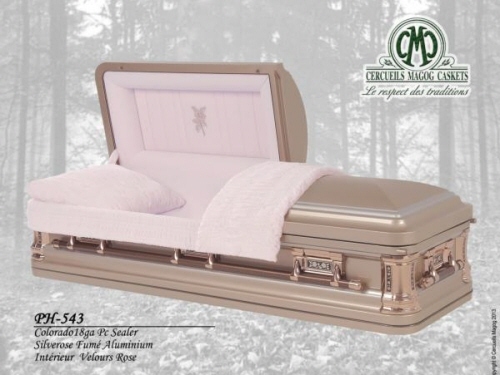 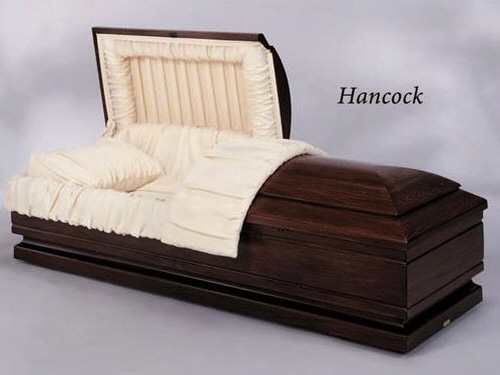 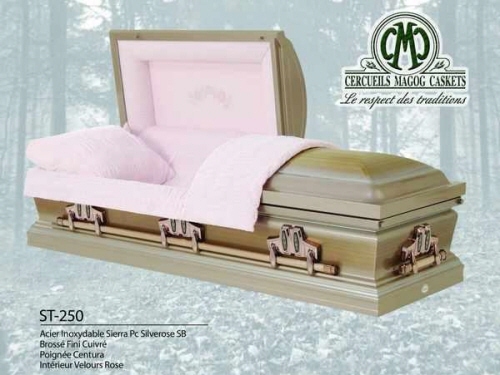 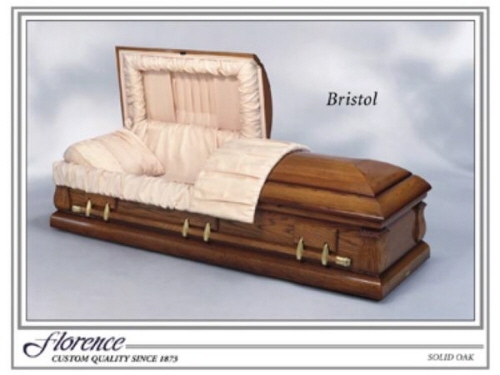 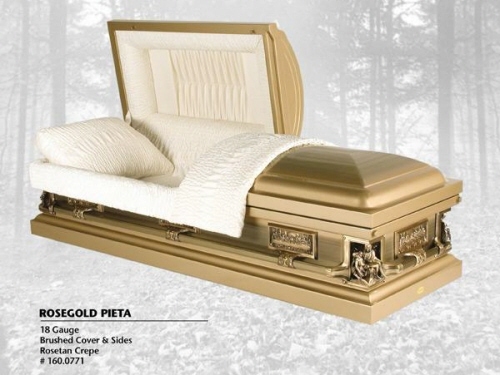 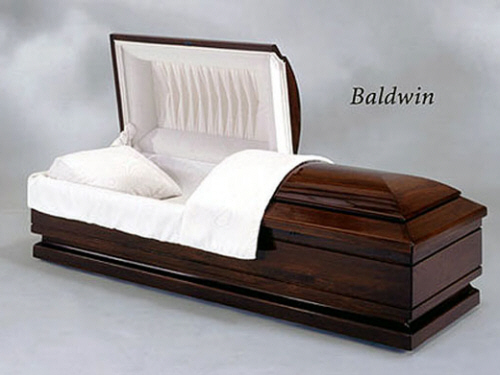 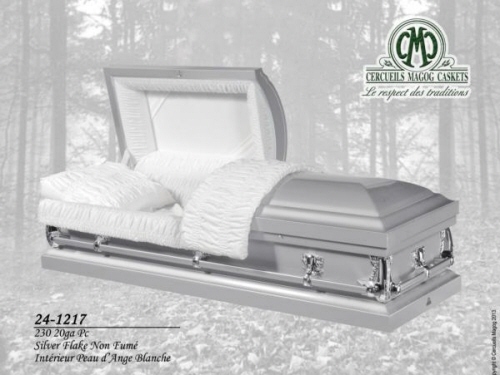 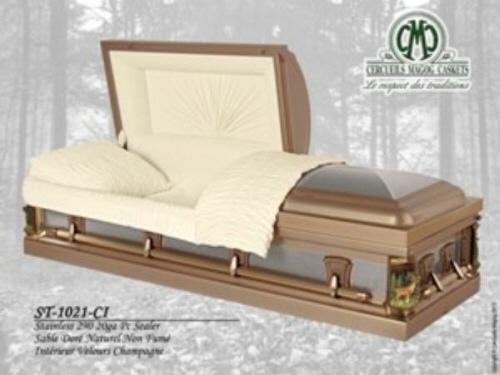 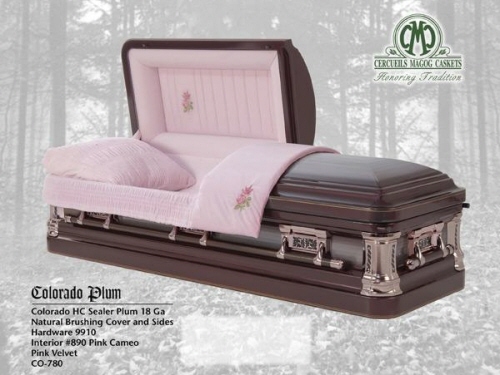 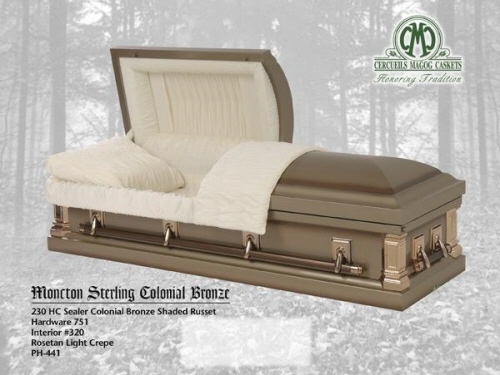 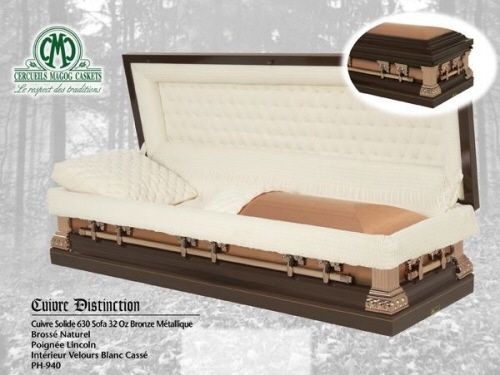 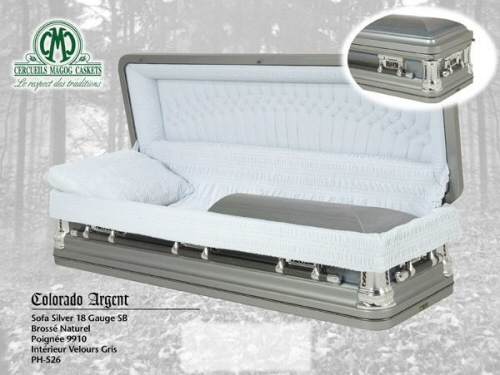 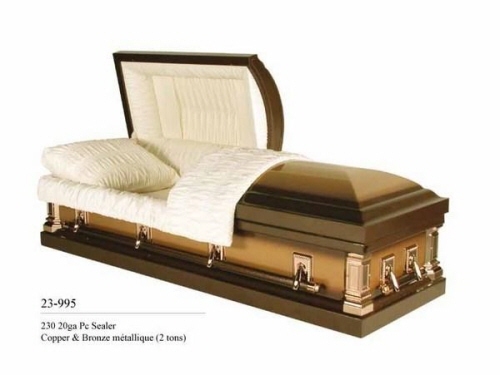 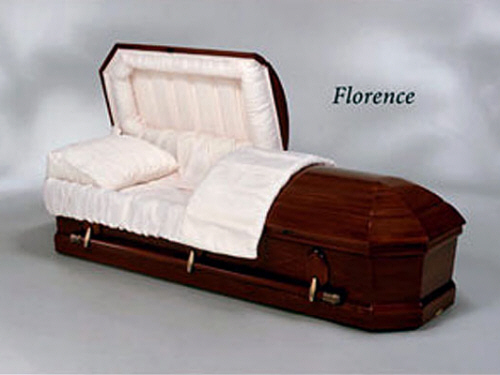 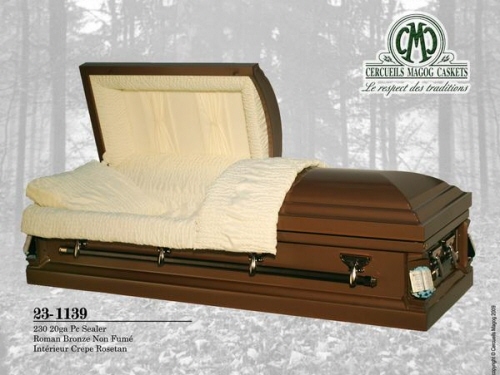 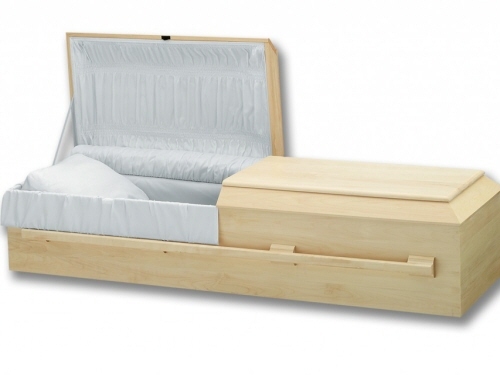 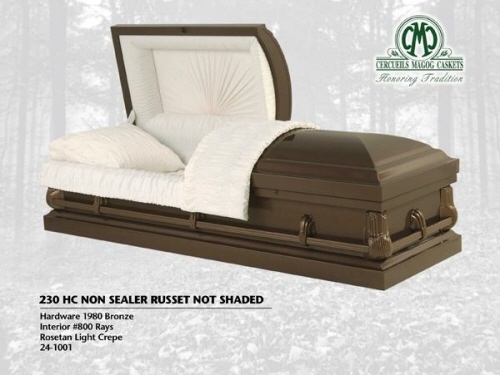 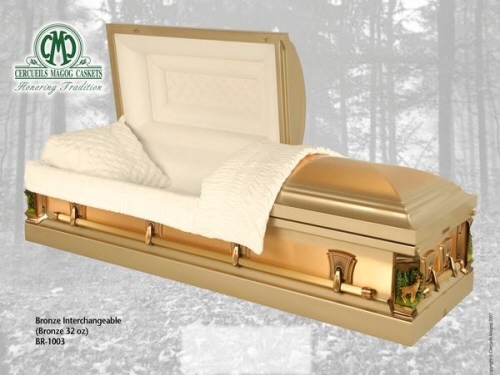 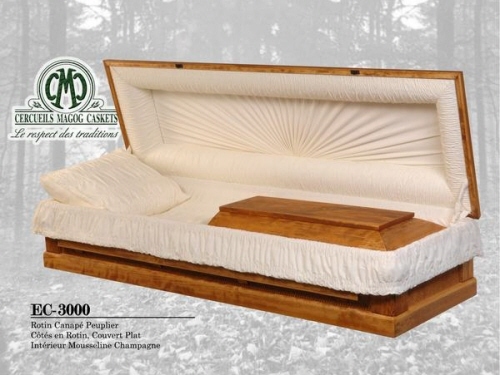 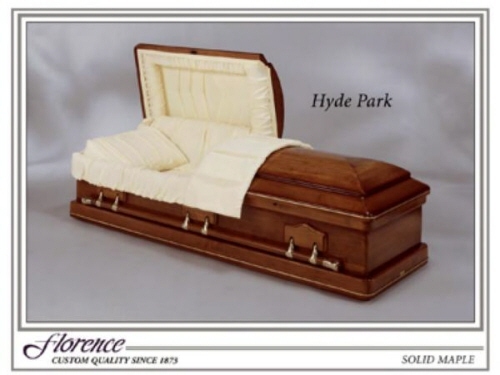 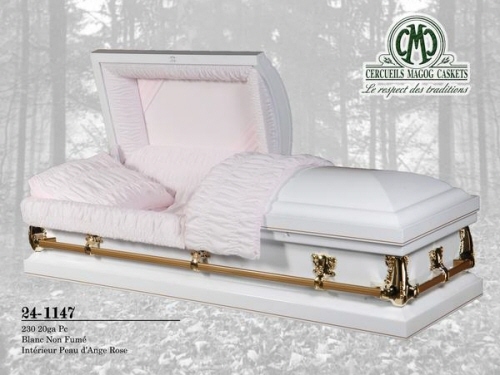 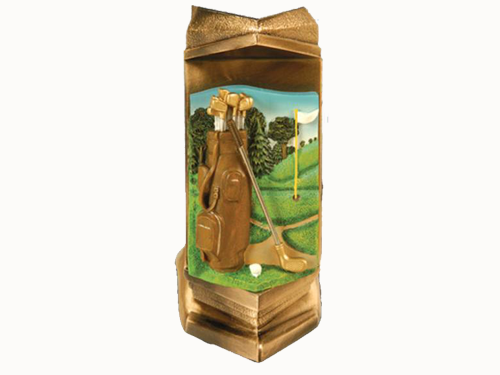 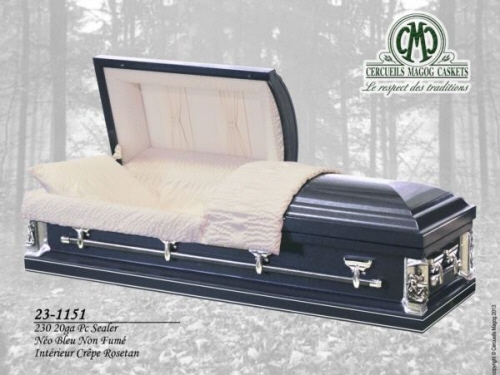 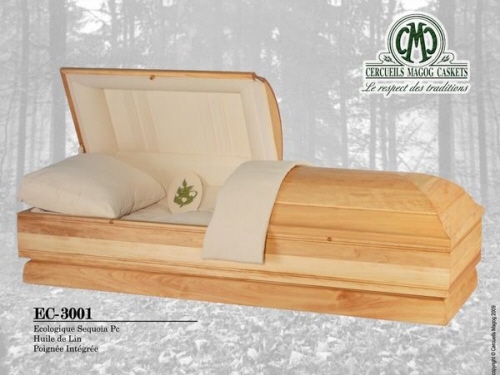 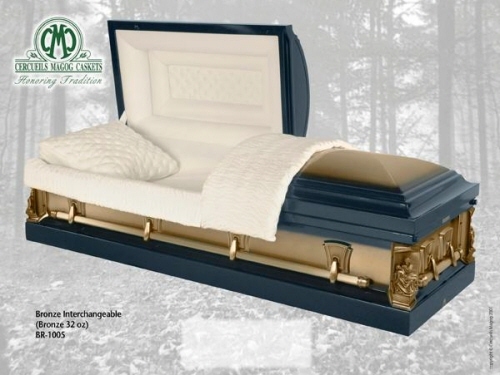 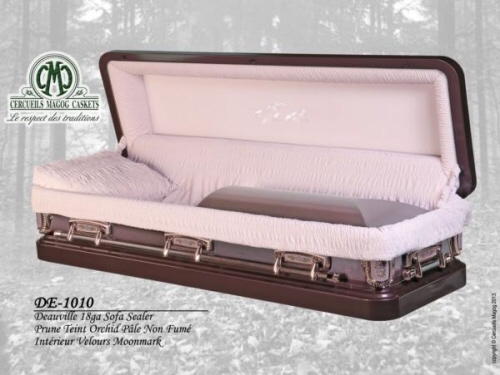 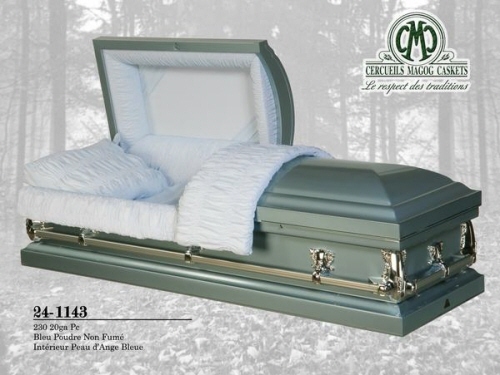 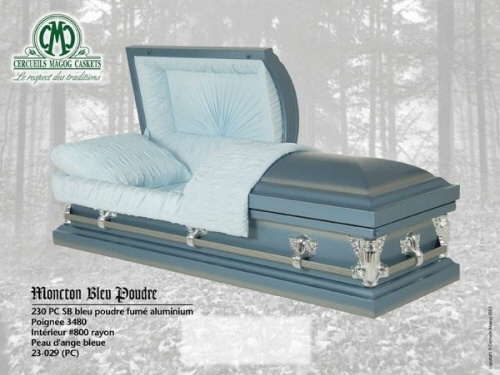 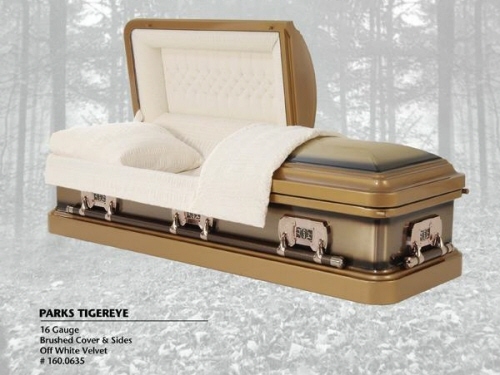 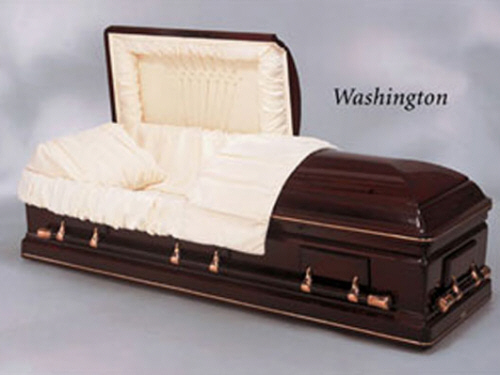 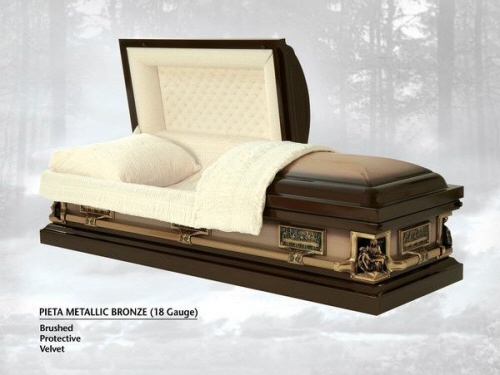 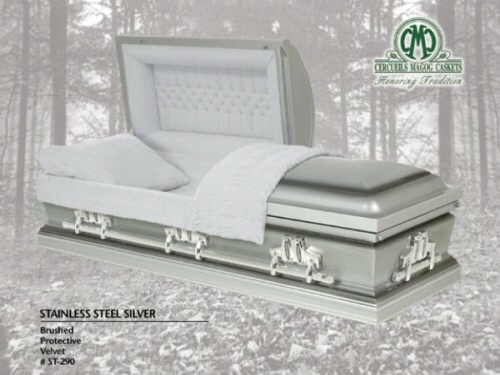 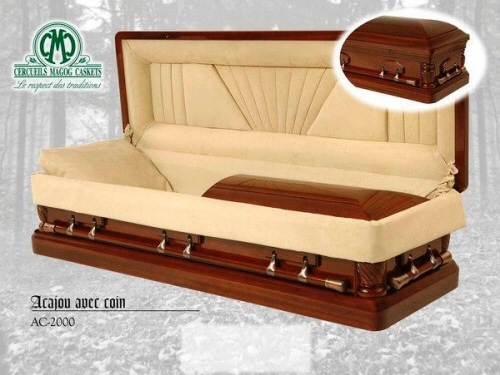 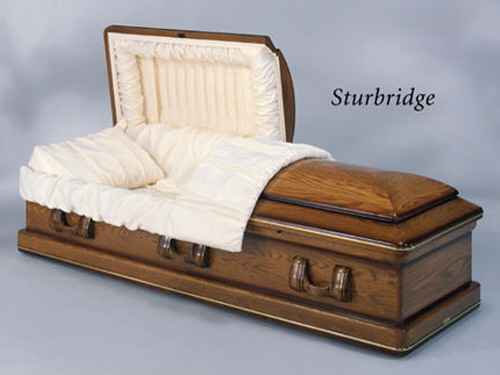 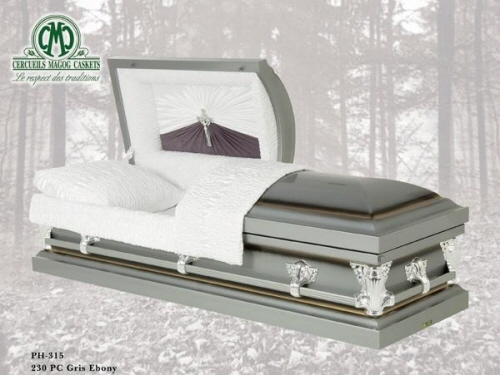 Raymond Levesque Designed This Casket For Himself.